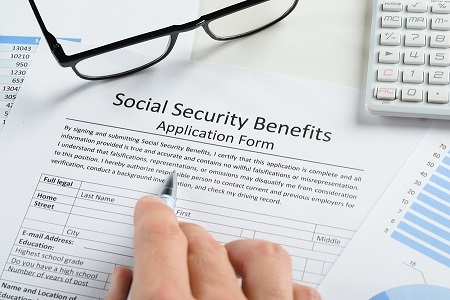 Social Security benefits include monthly retirement, survivor, and disability benefits. They do NOT include supplemental security income (SSI) payments, which are not taxable. The amount of SS benefits you must include on your income tax return depends on the total amount of your income and benefits for the taxable year. $25,000 if you are single, head of household, or qualifying window / widower. $25,000 if you are married filing separately and lived apart from your spouse for the entire year. $32,000 if you are married, filing jointly. $0 if you are married filing separately and lived with your spouse at any time during the year. If you are married and file a joint return, you and your spouse must combine your income and SS benefits when figuring taxable portion. Even if your spouse did not receive any benefits, you still must add your spouse’s income to yours when figuring taxable benefits on a joint return.